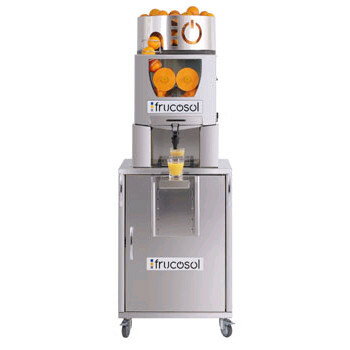 The Frucosol Self-Serve easily produces lots of top-quality citrus juice in a stunningly designed, technically-advanced machine. Simply press the faucet and the squeezing mechanism will start to produce freshly-squeezed juice. Provides an excellent presentation for any restaurant, bar or coffee shop. 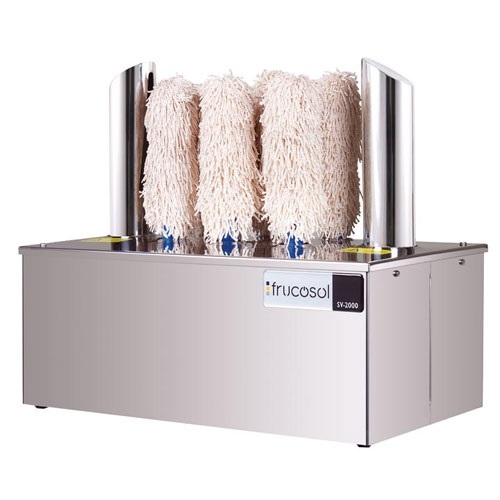 •Quality Construction – An attractive stainless steel housing and lots of technical features packed into a solid, beautiful machine. A simple design and only a few moving parts means less problems. •Open Design – The front opening allows for easy viewing of the natural squeezing process. 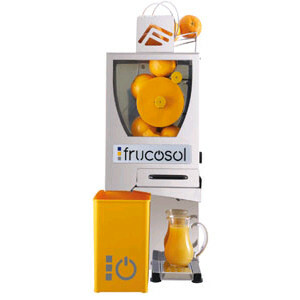 •Self-Serve Design – Customers can activate machine and get freshly-squeezed juice simply by pressing the faucet. 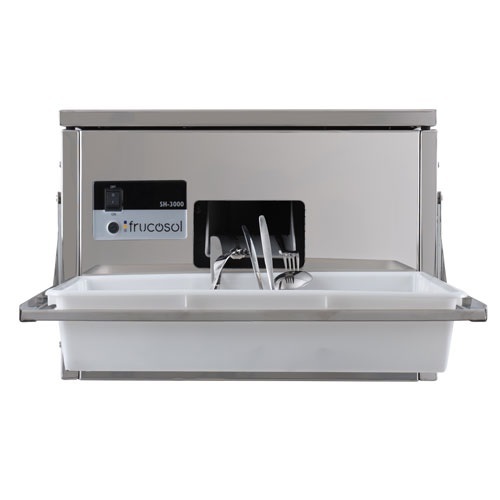 •Stainless Steel Cabinet – The stainless steel cabinet has a glasses rack with adjustable positions for holding either glasses or bottles of various dimensions.